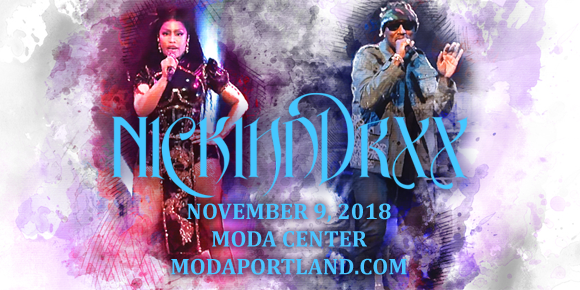 Two of hip hop's hottest artists, Nicki Minaj & Future, have teamed up for the Nickihndrxx Tour – a next-level co-headlining stint coming to Moda Center on Friday 9th November 2018! With Nicki about to drop her new album, Queen, and Future working on the soundtrack to Superfly, these stars are at the top of their game, and you know it's gonna be one full-power show! Tickets available now! American rapper, singer, songwriter, model, and actress Nicki Minaj first came to public attention in the late 2000s with a series of mixtapes: Playtime Is Over (2007), Sucka Free (2008), and Beam Me Up Scotty (2009). Her debut album Pink Friday (2010), released on Young Money Entertainment, peaked at number one on the US Billboard 200 and was ultimately certified triple platinum by the Recording Industry Association of America (RIAA). To date, she has sold 20 million singles as a lead artist, 60 million singles as a featured artist, and over five million albums worldwide, making her one of the world's best-selling music artists. She has also earned several awards and accolades since the beginning of her career, including: six American Music Awards, eleven BET Awards, three MTV Video Music Awards, four Billboard Music Awards, a Billboard Women in Music Rising Star Award, and ten Grammy Awardnominations. Minaj's fourth studio album, Queen, was released in 2018.